The major objective of this report is to analysis Deposit Product of Trust Bank Limited. Other objective of this reports are to identify different deposit products and describe deposit products of Trust Bank. Here also identify limitations of existing deposit products of Trust Bank and to recommend some suggestions to overcome the problems identified in deposit products of TBL. Finally this this report make swot analysis Deposit Product of Trust Bank Limited. To identify different deposit products of Trust Bank Limited. To describe deposit products of Trust Bank Limited. 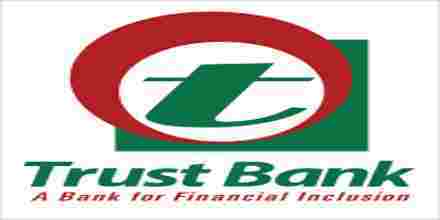 To identify limitations, if any, of existing deposit products of Trust Bank Ltd.
To recommend some suggestions to overcome the problems identified in deposit products of TBL. Trust Bank Ltd. (TBL) is one of the leading private commercial bank which established under the Bank Companies Act, 1991 and incorporated as a Public Limited Company under the Companies Act, 1994 in Bangladesh on 17 June, 1999 with the primary objective to carry on all kinds of banking businesses in and outside Bangladesh. .They has a spread network of 40 branches across Bangladesh and plans to open more branches to cover important areas of the country to provide banking service. In the year 2007 the authorized capital of the bank was Tk.200.00 crore and paid-up capital was Tk. 116.67 crore only .The bank gained success very early because of its very strong financial backup of the Army Welfare Trust. TBL is the scheduled commercial bank, which conducts its operation as per the rules and regulations of Bangladesh Bank. The bank obtained license from Bangladesh bank on 15 July, 1999 and started its operation from November, 1999. The Army Welfare Trust (AWT) is the main sponsor of the Bank, and it has already floated public shares in the capital market for its conversion into a public limited company. The Board is headed by the chief of army staff, Bangladesh Army as Chairman. Besides, there are eight other in-service senior army officers of Army Head Quarters acting as the members of the Board. The Managing Director is also the member of the Board. At present the bank has 40 branches across the country and has plans to open more branches very soon. TBL aims at optimizing profit with a view to allowing good returns on the investor’s money. Within nine years of its operations the Bank has strengthened its capital base by increasing reserve and retained earnings. With a wide range of modern corporate and consumer product Trust Bank Limited has been operating in Bangladesh since 1999 and has achieved public confidence as a sound and stable bank. In 2001, the bank introduced automated branch banking system to increase efficiency and better customer service. In the year 2005 the bank moved one steps and introduced ATM services for its clients. Since the bank business volume increased over the years and the demand of the customer enlarged in manifold, different products have been introduced to meet the demand of the customers and the growth of the bank. In 2007, Trust Bank successfully launched Online Banking Service which facilitates Any Branch Banking, ATM Banking, Phone Banking, SMS Banking and Internet Banking to all customers. Customers can deposit or withdraw money from any branch of Trust Bank nationwide without need to open multiple accounts in multiple branches. Via online Services and Visa Electron (Debit Card), ATMs now allow customer to retrieve 24×7 hours account information such as account balance check through statement of account and cash withdrawals. Trust Bank introduced Visa Credit Card to serve its existing and potential valued customers. Credit card now can be used at shops & restaurants all around Bangladesh. Trust Bank is a customer oriented financial institution. It remains dedicated to meet up with an ever-growing expectation of customers because at Trust Bank customers always at the center. In addition to ensure quality customer service related to general banking, the bank also deals in Foreign Exchange transactions. The bank also extended credit facilities to almost all sectors of the country‘s economy. The bank has also plan to invest extensively in the country’s industrial and agriculture sectors in the coming days. Such participation would continue in the further for greater interest of over all economy. For clients financial and banking needs the bank is keen to constantly improving its services and launching new and innovating products towards fulfillment of growing demands of its customers. Trust Smart Savers Scheme (TSS). Trust Money Double Scheme (TMDS). Trust Money Making Scheme (TMMS). Monthly Benefit Deposit Scheme (MBDS). Interest First Fixed Deposit Scheme (IFFDS). Non Resident Foreign Deposit Account. Travelers’ Endorsement (Cash and Travelers Cheque). Purchase of Foreign Currency Drafts, Cheques, Travelers Cheques Wage Earner’s Development Bond. Local Remittance- DD, TT, and PO & Inter Branch Transactions. Trust bank Limited has introduced internet banking in order to provide better customer service. In this case any body from any where by their unique ID and password can access their account from specific website (www. trust bank.com.bd) to know about their account. Here user can see balance and mini statement of their account. They can print out any transaction by giving data range in the specific field and also preserve it as a document. That mini statement needs not any signature verification as that will be auto generated statement. The Trust Bank Limited, with its wide corresponding relationship with major banks on the world is fully capable to meet the client’s need of foreign currency transaction and foreign trade services. Clients can open and maintain accounts in foreign currencies such as US Dollar, Pound Sterling and Japanese Yen and even in Euro with them. With its own Dealing Room, TBL is able to offer client competitive exchange rate for all major currencies of the world. Trust Visa Electron (Debit Card) provides a lot of facilities. This card accepted to all ATM with Visa sign. This card can use nationwide. Transaction account is debited directly from customers account. Cash can be withdrawal limit Tk 20,000.00/- to 40,000.00/- by maximum four transactions a day. Single snap cash withdrawal limit is maximum 20000.00/- a day. Personal Identification Number (PIN) can be change more than two times a day for security measure. ATM will retract the card for three time wrong PIN entry during transactions for security purposes. In case of retraction, customer nearest branch or card division must be contracted Annual fee is Tk 300 and Annual interest rate is 15%. Credit line up to BDT 100,000.00/-. Cash withdrawal facility up to 50% of total credit limit. Up to 45 days interest free credit facility. Interest rate @ 24% per annum i.e. 2% per month (subject to change). Operable both inside and outside Bangladesh. Credit line in both currencies. Retail banking has enormous potential in Bangladesh. Visualizing a tremendous prospect, the Bank introduce 11 retail banking products, viz, home loan, any purpose loan, advance against salary, education loan, doctor’s loan, marriage loan, travel loan,CNG conversion loan, car loan, hospitalization loan and household durables loan. Out of 11products, home loan, car loan, any purpose loan and household durables comprise respectively 35%, 30%, and 20% and 11% of the total loan portfolio. In order to give easy access to its products and provide best possible service at the customer’s doorsteps, the bank introduced direct selling services by recruiting qualified and customer focused professionals. Retail loan portfolio at the end of the year stood at Tk 416 million. SME sector has provided to be an effective vehicle for creating employment opportunity, reducing poverty and accelerate in overall economic growth. With a view to ensuring balance industrial development of the country, Bangladesh Bank has instructed to allocate ten percent of the total fund of Small and Medium (SMEs) for women entrepreneurs which will provide them the opportunity of easy access to the institution credit facility under the comfortable terms and condition. Visualizing the prospect of SME, the bank has introduced seven SME products – Women Entrepreneur loan, Poultry Farm Loan, Loan for Light Engineering, Entrepreneur Development Loan for Retires and Peak Seasons Loan. SME loan portfolio at the end of the year stood at Tk.500 million. During the year bank signed money Transfer agreement with 5 oversee exchange companies; As a result, remittance flow has increased significantly. Total remittance flow was Tk. 2,612 million in 2007, as against Tk765 million in 2006 registering an increase of 241.43 percent. But they have no room for compliancy. They need more inward foreign remittance to bridge the gap between import and export. Bank Management is continuously in touch with oversees exchange companies for remittance arrangement and getting good response. TBL has achieved note worthy progress in the field of information technology during the year review. In January 2007, the bank successfully launched online banking service, which facilitates any branch banking, ATM banking, phone banking, SMS banking and internet banking. All branches are currently using centralize banking software for their data transaction processing and routine reporting. The bank has subscribed to ATM VISA Debit and Credit cards which is an important milestone in automation of the banking services. Beside services like phone banking, SMS banking and internet banking have considerably reduced customers’ pressure on the cash counters. Being the settlement bank for Q-Cash network, the Bank has played a lead role for expansion and sharing of ATM network with different banks at a competitive rate. For instance, Q-cash has recently signed quadr-party agreement with Dutch –Bangla, Trust and Mercantile Bank to create a common transaction routing platform. Dutch – Bangla Bank has 151 ATMS and 700POS terminals nationwide. Besides, in November 2007 Q-Cash signed a similar agreement with BRAC Bank, which has a network of 64 ATMs and 500POS terminals. Signing of these agreements will make 24 – hour banking transactions flexible for the customer of all banks involved in this expansion network. By sharing the network, participants banks will be able to eliminate per transaction toll charge by VISA , since shared network of Q-Cash , Dutch – Bangla and BRAC Bank will be consider as a big network and transactions within this network will be settled locally. For a bright prospect, the Bank has successfully launched VISA Credit Card to serve its existing and potential customers, although a very stiff competition is prevailing in the market. Presently, they are marketing five types of credit card – VISA Classic Local, VISA Classic International, VISA Gold Local, VISA Gold International and VISA Dual Card. The Bank expects that sizable revenue will flow from credit cards. In the year 2007 the deposit of the bank shot up to Tk. 27,102 million from TK 18986 million as recorded in the year 2006. The increase in deposits during the period as recorded as 42.75%.The combination of competitive interest rates, depositors’ trust in the bank and mobilization efforts of the Bank management resulted in this growth of deposits. But these is no room for complacency, they have still a long way to go. Total loan and advances of the bank as on 31 December 2007 was Tk. 18,682 million as against Tk. 13,188 million in the 2006, showing an increase by 41.66% over the preceding year. The credit portfolio of the Bank is a mix of scheme loans namely- renovation and reconstruction of scheme loan (RRDH) Loan, Car Loan , Consumer Durable Scheme Loan (CDS), Marriage loan, House Building Finance (HBF) Loan, Commercial Loan. Commercial loan comprise Trade financing in the form of working capital and industrial loan (both large and medium scale industries) with both funded & non- funded credit facilities The portfolio was further devised to avoid risk of single industry concentration and remains in the line with the Bank’s credit norms relating to risk quality. The classified loans & advances accounted for 2.71% of the total loans & advances against industry average of 5.50%. Total asset of the Bank stood at Tk.30, 382 million in 2007 as against Tk.21.061 million in 2006 registering a growth of customer deposits. The growth of deposits was used for funding growth in credit and investment. The investment grew by Tk.662 million during the year and stood at Tk.3, 785 million at the end of 2007 as against Tk. 3,123million in 2006. The Bank purchased government treasury bills to cover the increased SLR requirement. Out of the total investment. Tk. 309 million was invested in listed and unlisted shares of different companies. Consolidated balance stood at Tk. 244 million at the end of the year, which represents Tk.230 million call loans from other banks and Tk.14 million refinance loans from Bangladesh Bank. The consolidated balance is much lower than that of 2006, which was Tk.426 million. Consolidated liabilities of the Bank stood at Tk. 28228 million at the end of 2007 as against Tk.19, 906 million in 2006, registering a growing 41.81 %. Increase in liabilities was mainly due to about 42.75% increase in deposit over the corresponding year. Supplementary capital represent asset revaluation reserve, general provision for loans and advances, preference share capital and other subordinated debt. At the close of business on 31 December 2007, Bank’s supplementary capital stood at Tk. 328million. Therefore the total capital of the bank stood at Tk.2, 421 million against Tk.1, 311 million in 2006 and maintained a ratio of 12.37% of total risk weighted asses against a standard of 10%. At the end of 2007, statutory Reserve of the Bank stood at Tk. 331 million as against Tk. 215 million in 2006. Total shareholders’ equity is increased by 86.49% and stood at Tk.2, 154 million at the end of year as against TK. 1,155 million in 2006. the increase was due to conversion of sponsors’ share money deposit into paid up capital amounting Tk.200million , issue of primary share to the public amounting Tk. 700 million (including premium) and increase in statutory reserve. Statutory reserve increased by Tk. 116 million. In accordance with the provision of Bank Companies Act, 20% of operating profit required to be transferred to Statutory Reserve. As much an amount of Tk. 116 million has been transferred to Statutory Reserve during the year and the balance of the reserve stood at Tk. 3331 million at the end of the year. The bank earned operating profit of Tk. 854 million during 2007 as compared to Tk. 547 million in the immediate preceding year, registering a growth of 56.10%. after keeping Tk.162 million as provision against classified loans a& advances, Tk. 63 million as provision against unclassified loans (1-5%) and Tk. 5 million as provision against special mention account (SMA). Pre -tax profit stood at Tk.580 million. After keeping Income Tax provision of Tk. 341 million, net profit stood at Tk.239 million. Earning per share was Yk.28.28.Accumulated retained earnings stood at TK 362 million at the end of 2007. Investment income represents interest earned on treasury bills & bonds, dividend income and capital gain from sale of listed securities. Income from investment grew significantly over that of corresponding year; by 75.33 % and the principal contribution came from capital gain of sale of shares. Total operating expenses increased by 59.55% during the year mainly due to increase in number of employees and number of branches. In number of branches result in increase in business volume and increase in profit .Additional human resources had to be hired to support business growth. All the branches of the TBL arc fully computerized. New software is now in use to provide faster, accurate and efficient services to the clients. The bank is continuously striving for ensuring better services through extensive automation of its branches. The bank has connected its all branches through On-line banking system. The bank has set up a full-fledged IT division to keep abreast of the latest development of IT for ensuring better service in the days to come. Moreover ATM Booths are going to be established over the country. The bank’s work force is composed of personnel having sound academic backgrounds with vast experience in banking. Human resources development creates an environment by dynamic, enthusiastic and vigorous participation of all individuals. With opening new branches the total head count would increase in the year 2008. To make the personnel of the bank knowledgeable and truly professional, it arranges training for them at Head office of the bank, BIBM and other institutions. The management of the bank sits with the branch managers and departmental heads in regular meetings that provide scopes for open discussions, which help in formulating new strategies for achieving ‘targets’ of the bank. The bank also gives due emphasizes on the motivational side of the employees by providing them competitive salary/pay packages well as by creating pro-active job environment in the bank. Foreign correspondent relationship facilitates foreign trade operations of the bank, mainly in respect of export, import and foreign remittances. The number of Foreign Correspondents and Agents of the bank covers important business and trade centers of the world to ensure better and hassle free services to its import, export and remittances oriented clienteles. The introduction of Internet has changed the traditional concept of world trade and commerce. Trust Bank Limited has its own IT team who has developed a web site to provide up-to- date information on the bank at fingertips to the trade and business communities of the world. It can be accessed to under the domain: www.trustbanklimited.com. This bank has stepped into 10th year of its banking operations so still at its infantile stage but within a short span of time, consolidated its position with all its inherent strength and weakness. This bank would continue to keep its commitment towards societal progress by participating in such programs in future. It would stand by the people through philanthropic activities whenever any crisis and disaster confront them. It will be diversified in the days ahead of the management as they are planning to award students of exceptional academic performance with scholarships in different educational institutions. The management of Trust Bank Limited expects to launch soon school banking by ending their services, which would encourage parsimony in the students.. The management is optimistic that the volume of business would continue to increase in the coming years through their pragmatic and customer friendly policies in line with their attempt to open some more branches in the commercially important places of the country. Credit Rating Information and Services Limited (CRISL) upgraded its rating of the Bank for long term to A (pronounced as single A) in 2007 from A- (pronounced as single A minus) in 2006. CRISL also upgraded short term rating of the Bank to ST-2 in 2007 from ST-3 in 2006. The up gradation was done due to Bank’s good fundamental and involvement in the areas of capital adequacy, market share, liquidity, leverage and loan loss provisioning, financial institution are rated in this category are adjudged to offer adequate safety for timely repayment of financial obligation. This level of safety indicates a Bank entity adequate credit profile. Risk factors are more variable and greater in period of economic stress than those rated in higher category. The shorter rating indicates high certainty of timely repayment. Liquidity factors are strong and supported by good fundamental protection factors. Risk factors are very small. The accompanying profit and loss account depicts the operating result of the bank for the year 2007. The Government has , in the mean time , amended that the Bank Companies Act, 1991 requiring, among other thing, minimum capital plus statutory reserve of Tk.2,000 million for the Banks. Bangladesh Bank issued a circular on 5 November 2007 asking the banks to raise 50% of the shortfall by June 2008 and the remaining 50% by June 2009. Besides Bangladesh Bank has imposed restriction on payment of cash capital until the required capital plus statutory reserve is met. Paid up capital along with statutory reserve of the Bank stood at Tk.1, 497 million as on 31 December 2007 and hence there remains a gap of Tk. 503 million. In order to bridge the gap, the Board of Directors has recommended for issuance of 10% bonus shares (i.e. one bonus share for every five shares held) from the profit of 2007.The board of Director has also recommended for issuance of 20% right shares (i.e. one right share for every five shares held), subject to approval of Securities and Exchange Commission (SEC). Savings deposit is popular account maintained in banks. Savings account is opened by individuals for savings purposes and amount deposited over a period of time. This account earns interest at a prescribe rate. Interest on saving account shall be calculated monthly on the basis of guidelines issued by Head office from time to time and credited to the account half yearly in June and December each year. The savings account allows one to have interest income on his/her deposit while the account can be used for transaction purposes. Withdrawal of deposit can be made twice in a week in case of this account. Exceeding this number will forfeit the interest for the month. The TBL offers 7% interest rate on the account. Interest is applied to the account on half-yearly basis. Savings account also offers: statement of account at desired frequency, Tele-banking, Inter branch – banking facilities etc. Tk 1000 is required as initial deposit to open this account. Interest is paid on this account. TBL offers 7% rate of interest for SB A/C. Withdrawal can not be more than 25% of the balance available, subject to maximum Tk 25000. The number of withdrawals over period of time is limited. Only two withdrawals are permitted per week. If there are more than two withdrawals are made in a week, no interest will be paid for that month. Generally householders, individuals and other small-scale savers are the clients of this account. Minimum Balance of Tk 2,000 is to be maintained. Interest is credited to the account in June and December. There is no service charge for savings account. Any Person/ Persons of the age of majority and sound mind can open account singly or jointly. The balance shall be payable to him/her/them or the survivor of the joint account. A guardian can open such account on behalf of a minor. Clubs, Societies and other similar organizations can open such account on production of their Bye-Laws, Articles of Association, and resolution thereof. Introduction is mandatory when opening Saving Account. No one shall be allowed to open more than one Savings Bank Account in the same name in a particular branch. Every Savings Bank Account shall have a separate account number. Withdrawal of money shall be only through the leave of the cheque book supplied by the Bank. A Depositor shall not be allowed to withdrawal more than twice a week and shall be allowed to draw 25% of the balance subject to maximum Tk. 25,000/- per week or else the depositor shall be required to serve 7 day’s notice in advance. Interest payable on minimum balance will be in June and December every year. The Bank will, as per Govt. directives, realize all taxes/charges/levies at fixed rate annually or otherwise decided by the Govt. Signature of the client on cheques for withdrawal of money must be similar with the specimen signature recorded with the Bank. In case of closure of any account within 6 (Six) months from the date of opening of the same, the Bank shall deduct Tk. 100/- from the account as closing charge. The Bank reserves the absolute right to alter/amend these rules of Savings Bank Account as well rate of interest from time to time. For opening an account, at first the prospective account holder will apply for opening an account by filling up account opening form. Account opening form consists of the name of the branch, type of account, name of applicant(s), present address, permanent address, passport number if any, date of birth, nationality, occupation, nominee(s) information, special instruction (if any), initial deposits, specimen signature(s) of the applicants introducer’s information etc. An existing customer of the bank. Officials of the bank not below the rank of Assistant Officer. A respectable person of the locality who is well known to the manager or authorized officer. Two copies of passport size photograph duly attested by the introducer. Signature of the prospective account holder in the account opening form and on the specimen signature card duly attested by the introducer. The concerned authority will allocate a number for the new account. The customer then deposit the “initial deposit” by filling up a deposit slips. Initial deposit to open a current account in TBL isTK.5000.00 and savings account is TK 1000.00.For defense person the amount of initial deposit is flexible. After depositing the initial deposit, the account is considered to be opened. After depositing the initial deposit, TBL records it in the computer by giving new account number then it issues cheque book requisition slip to the customer. Then they distribute all relevant papers to respective department. In practice, TBL offers 4.0% rate of interest (half yearly compounding) for STD account on daily minimum balance. Volume of STD A/C is generally high. In TBL, various big companies, organizations, Government Departments keep money in STD accounts. Fixed Deposit is very popular types of deposit of the bank and in fact these deposits constitute a sizeable amount of the deposit of the banking sector. Fixed deposit receipts are neither transferable nor negotiable. These are categorized as time liabilities of a bank. Banks pay higher interest on such deposits because depositors part with liquidity for a definite period. . There are different types of interest on the amount. The interest rate depends on the time schedule. Fixed period is specified in advance. Normally the money on a fixed deposit is not payable before the maturity date of a fixed period. At the time of opening the deposit account the banker issues a receipt acknowledging the receipt of money on deposit account. It is popularly known as FDR. The trust Bank ltd issues FDR for different periods with different rate of interest. The bank offers high rate of interest on such deposits. Fixed deposit receipts are neither transferable nor negotiable. The name of the scheme is Trust Smart Savers Scheme (TSS) and an account holder subscribing to this scheme will be called TSS Account holder. An applicant can open TSS account in his name, in his /her spouse name or in the name of his/her children operated by the guardian. The maximum number of TSS account from a single family can not exceed five. Under this scheme, a depositor deposits certain in every month for a period for 3/5/7/10 years and on maturity the depositor gets back the deposited amount and accumulated interest for the saving period. However customer can directly deposit the amount in the TSS account also. The first installment may be deposited at any date of the month but subsequent installments have to be deposited on 10th day (in case of holiday next working day) of every month. Advance payment of any number of installments is acceptable. A passport size photograph is required to open an account. A passport size photograph of TSS account holder must be attached with the application form. Signature can be given by the depositor(s) under the scheme to the branch concern to pay regular installment from his/her CD/SB account maintained with the branch. In case of death of the applicant the relevant account will be closed. Nominee/Nominees will receive the proceeds of the account(s).If the nominee is a minor the proceeds of the account will go to legal guardian of the minor. Any benefit from Trust Smart Savers Scheme may come under purview of Income Tax or any other levy as decided by the government. Monthly installment will be automatically realized from the applicant’s account Saving Account linked with TSS Account or directly deposit in the account. In the event of failure to pay any monthly installment, it will be sole responsibility of TSS account holder to settle the arrear installment(s) before or along with the next due though a written instruct to the bank. In such case there will be a penalty of TK 50.00 for per installment amount to be paid with subsequent installment. If the premature encashment occurred within one year, in that case interest will be allowed. If the premature encashment occurred after one year, in that case he/she will charge as closing charge. In case of immature closing of the account TK 100.00 will be charged as closing charge. These terms and condition shall be governed by and construed in accordance with the laws of Bangladesh. No cheque book will be issued to the client under this scheme. Loan may be allowed up to 80% of the deposited amount but not below Tk.1,00,000.00 against lien of the same account. Any account can be transferred from any branch; in that case TK 25 will be charged as Account Transfer Fee. The bank reserve the right to make changes/alteration/amendments/modification etc. to the scheme and in absence of nominee, to the legal heirs of the deceased will be given the amount due from the scheme on production of succession certificate. Mudaraba Term Deposit is a mode of deposit under Mudaraba principles of Islamic sariah. It is a profit / loss bearing account. These deposits are repayable subject to a period of notice and hence known as time deposit or time liabilities meaning thereby that these are withdrawals subject to a period of notice and not on demand. Deposits under MTD are accepted for different tenure as decided by the Bank is entitled to receive profit on their deposit on the basis of weighable as decided by the management. A receipt issued against each deposit under MTD. Actual profit on MTDR will be calculated at the year end on the basis of weight age fixed by the bank. Provisional profit on MTDR will be given on maturity of MTD which will be subsequently adjusted with the actual profit at the end of the year. If the actual profit is higher than the provisional profit than bank will credit the excess amount to the beneficiary and if it is lower than the provisional rate, bank will claim refund from the beneficiary. However, if the amount of excess or shortfall is less than TK 100/- than no party will claim refund & forego their respective claim. All govt. Taxes. VAT Excise Duty etc by the regulatory bodies time to time including management charges are applied on MTDR. MTDR can be opened for 3 months or 6 months & 12 months tenure or for any other tenure approved by the bank. If not instructed otherwise the MTDR will be automatically renewed for another term under the terms prevailing at the time of renewed along with the provisional profit, if any. Minimum amount to open is TK.1000/- . A Mudaraba Term Deposit Receipt (MTDR) shall be issued there against and MTRs are not transferable. The beneficiary shall ensure safe keeping of the MTDR at his/her own risk and immediately notify the bank in case loss or damage of the MTDR. “Qard” facility up to 80% of the MTDR can be availed by the beneficiary by complying with the rules of Qard. This is a profit and loss bearing deposit product. Under this scheme deposit shall be received on Mudaraba Principle in the minimum amounts of Tk 1,000/- and multiple of Tk 1,000/- thereof. A Mudaraba Term Deposit Receipt will be issued there against and this receipt shall not be transferable. The deposit shall be received for a period of 3 months, 6 months, and 12 months or as proposed by the Bank under these schemes. Provisional profit shall be calculated and payable on the basis of term of periods from time to time. The deposit is on maturity automatically renewed in the same investment mode as earlier and profit will be given on the total amount of profit added deposit. No profit shall be payable if the deposit is en-cashed before its maturity. However if any deposit is en-cashed after one month but before the maturity date, profit shall be paid at proportionate rates applicable to the Mudaraba Savings Deposit for 30 days & its multiples. For 1 year deposits, the profit shall be added to the principle amount of deposit on the maturity. Profit shall be payable on the added amount of deposit incase of subsequent maturity on renewal, if any. After year end account are adjusted with actual rate of profit. If the actual profit is greater than that of provisional than extra profit is credited to sundry account if any account has closed during the year. Incase where actual rate is lower than the provisional rate than the loss amount is debited from the clients account or notice can be send to the client to rebate the loss amount if the account is closing during the year. The depositor of Mudaraba Term Deposit Receipt shall share income received from investment i.e. income from the use of the funds in economic activities permitted by Islamic Sariah. The depositor under this schema shall get share of 65%of the income of the Bank derived from the deployment of all categories of Mudaraba funds in the investment applying the weightage. Bank shall be immediately notify if the depositor’s address change, bank contact the depositor through post office/ courier. Bank will not liable for any undelivered documents/letters or any delayed delivery of the letters/ documents. The depositor must preserve the receipts carefully and properly. Incase of loss or damage of the receipt, the depositor must inform the bank immediately for taking issued after completing necessary formalities as per bank’s existing rules. If the depositor fail to inform about loss, bank shall not responsible for any withdrawal of money against MTDR through any fraudulent means. Zakat is not deducted from the depositor’s account. It is the depositor’s soul responsibility today Zakat due against deposit along with other resources of the depositor. Individual /joint depositors may nominate person(s) as his/ their nominee of the account .The nominee (s) shall be entitled to receive the money of the account according to apportionment only after the death of the depositor (s). The depositor may at any time nominate a new nominee canceling the previous nominee and also in the event of the death of the nominee during the life time of the depositor. Bank shall have the right to decline receiving any deposit by the customer without showing any cause. Incase of joint account, the death of one account holder shall not have any effect on transaction/ operation where instruction of anyone or survival can operate the account is available and that account holder can en-cash the deposit anytime if he wants without submitting the Succession Certificate. Mudaraba deposit can be invested in any section as per the decision of the Bank complying Sariah. Pre mature encashment is allowed with service charge Tk 100.00 with depositor will be entitle to avail the provisional rate for full complete period & Mudaraba Savings rate for the breaking period. (If any ). The bank reserve the right to change, alter, amend, modify or cancel any terms and conditions from time to time and the client shall have to abide by the same. Al- Wadiah Term Deposit is a mode of deposit under Al- Wadiah principles of Islamic Sariah where refund of principal is gilded by the Bank and depositor may receive a share on profit of the bank’s business as per management’s discretion. Deposit under ATD is accepted for different tenures as decided by the bank and are entitled to receive profit on their deposit on the basis of weightage as decided by the management. A receipt is issued against each deposit under ATD. This deposit is guided by the Al –Wadiah principles of Islamic Sariah with additional conditions as stated below. Bank will invest the ATD fund at its own risk through shariah complain investment modes along with Mudaraba fund to earn profit. Under otherwise decided, the profit sharing ratio is 50:50 between TBL and the depositor in ATD. Actual profit on ATD will be calculated at the year end distributed own the basis of weightage fixed by the Bank. Provisional profit on ATD will be given on maturity of the ATD which will be subsequently adjusted with the actual profit at the end of the years. If the actual profit is higher than the provisional profit than bank will credit the excess amount to the beneficiary and if it is lower than the provisional rate, bank will claim refund from the beneficiary. However, if the amount of excess or shortfall is less than TK 100/- than no party will claim refund & forego their respective claim. All govt. Taxes. VAT Excise Duty etc by the regulatory bodies time to time including management charges are applied on ATD. ATD can be opened for 3 months or 6 months & 12 months tenure or for any other tenure approved by the bank. If not instructed otherwise the ATD will be automatically renewed for another term under the terms prevailing at the time of renewed along with the provisional profit, if any. Minimum amount to open is TK1000/- .An Al-Wadiah Term Deposit Receipt (ATDR) shall be issued there against and ATDRs are not transferable. The beneficiary shall ensure safe keeping of the ATDR at his/her own risk and immediately notify the bank in case loss or damage of the ATDR. “Qard” facility up to 80% of the ATDR can be availed by the beneficiary by complying with the rules of Qard. No profit shall be payable if the ATDR is en-cashed before maturity. This mode of deposit will be operated under the Al-Wadiha principal of Islamic Sariha with the following conditions. Under this scheme deposit shall be received in minimum amounts of Tk 1,000/- and multiple of Tk 1,000/- thereof. An Al-Wadiha Term Deposit Receipt will be issued there against and this receipt shall not be transferable. The deposit shall be received for a period of 3 months, 6 months, and 12 months or as proposed by the Bank under these schemes. Provisional profit shall be calculated and payable on the basis of term of periods from time to time at the discretion of management. No profit shall be payable if the deposit is en-cashed before its maturity. The depositor of Al-Wadiha Term Deposit Receipt shall share income received from investment i.e. income from the use of the funds in economic activities permitted by Islamic Sariah. The matter, profit sharing, depends on discretion of the management of the bank. The depositor must preserve the receipts carefully and properly. Incase of loss or damage of the receipt, the depositor must inform the bank immediately for taking issued after completing necessary formalities as per bank’s existing rules. If the depositor fail to inform about loss, bank shall not responsible for any withdrawal of money against ATDR through any fraudulent means. Individual /joint depositors may nominate person(s) as his/ their nominee of the account .The nominee (s) shall be entitled to receive the money of the ATD account according to apportionment only after the death of the depositor (s). Incase of joint account, the death of one account holder shall not have any effect on transaction/ operation where instruction of anyone or survival can operate the account is available and that account holder can encash the deposit anytime if he wants without submitting the Succession Certificate. Al-Wadiha deposits can be invested in any section as per the decision of the Bank complying Sariah. Pre mature encashment is allowed with service charge Tk 100.00 . Documents/ forms common for all types of accounts customers. Letter of mandate, authorizing another person(s) to operate the A/C on behalf of the account holder, where necessary. Introduction by an account holder of this bank. To open a savings, current or STD account, the following documents are mandatory. Now all of the bank must follow the requirements upon the enactment of money Laundering Act. Attested or Certified copy of the Memorandum and Articles of Association. Personal Profile of all Directors as per enclosed sheet in the company’s letterhead pad. To facilitate withdrawals TBL provides cheque book to the customer of savings A/C holders and Current A/C holders..
CD account cheque book contains 50 leaves, while SB account chequebook has 20 leaves. Bank maintains a separate register in this regard. Requisition slip is provided to the customer in cheque book to issue new chequebook. A new chequebook should be delivered only to the account holder. Otherwise authorization letter is needed from client for delivery to other person. An account holder can transfer his/her account from one branch to another branch of Trust Bank Limited. For this, he/she must apply with proper reason to the manager of the branch where he/she is maintaining the account. There are some rules and regulations and some charges have to pay for transferring the account from one branch to another branch of Trust Bank Limited. A Client can close his/her account any time by submitting an application to the branch. There must be a signature of the client in the application and the account-opening officer will verify it. The account officer then checks the client’s account position. The client is then asked to draw a final cheque for the credit amount in the account excluding account closing charge Tk. 100.00 and other incidental charges. The client then surrenders remaining checques to respective officer who will tear off these cheques. Vouchers are then issued with debiting the particular account and crediting Incidental charges account. In case of joint account the application for closing the account should be signed by all the joint account holders, even if the account is operated by either of them. The last cheque for withdrawal of the available balance in the account should also be singed by the all joint account holders. TBL’s overall performance in deposit collection is very good. There is also an uptrend in its performance which is observed from the last fiscal year. Customer service at TBL is excellent. Employees at different desks are very helpful, cooperative and customer friendly. It is observed that the activities of the managements and all functions of the deposit department are also being executed in line with the requirement of the regulatory bodies such as Bangladesh Bank, SEC, The Companies Act 1994, and the Bank Company Act 1991. The products offered by the TBL are very limited in range comparing to the contemporary banks. The clients can hardly find the best alternative of particular products. The features of the deposit products are not much competitive in compare with the other commercial banks. The deposit products of TBL are dominated by few dominated products. Introducer is one of the major concerns in term of open a saving or current account. Clients face problem to open account if they do not have any introducer in TBL. Various document need to submit by the client to open an account as per rules of Bangladesh Bank. But some time clients may not be interested to provide such documents to open an account which is not very positive sitution for high deposit collection. Despite of being stoned in 1999, the bank has only 40 branches now in some particular areas. TBL is also in a vulnerable position considering the geographical diversification. In most of the cases different branches perform in different extreme levels. For example Dhaka is doing very well but Chittagong is doing very well. The Human Resources Division (HRD) of the Trust Bank Limited follows its own “Personnel Policy” which is found modern, effective and a standard one. The classified loans & advances of this bank accounted for 2.71% of the total loans & advances against industry average of 5.50%.TBL’s overall performance in loan recovery is excellent. TBL has few ATM booths which is not very positive situation for the expansion of its banking operation. Wide range of deposit products: It is recommended that, wide range of deposit products with attractive features should offer to meet various demands of customers which will make them more competitive in compare with the other commercial banks. Deposit scheme with shorter duration: Deposit scheme with shorter duration should introduce so that it becomes easy to continue such deposit scheme till maturity. More ATM Booth: It is recommended to introduce more ATM booth instead of manual banking system. It will save huge amount establishment and other costs. More branches: It is recommended to establish more branches so that they can collect scatter saving of people that will help them to achieve their deposit collection target as well as to expand their business. Classified loans and advances: It is recommended that the Bank should introduce more classified loans and advances. Advertisement: The management should give more emphasis on the advertisement of the bank in different electronic and printing media. Trust Bank should give more emphasis on their marketing effort and try to increase their sales force. It was observed that Trust Bank was absent in TV, Print Media, Bill Boards, Sponsorships, etc. The Bank should advertise about itself so that it can attract more clients that will increase the business volume of the Bank. Increase Loan Investment: Trust Bank should increase their loan investment because increasing the loan investment will maximize the interest income of the Bank. So the loan investment, which will give the expected return, should be increased. And for that they should strictly follow the factors which must consider before sanction of any loan. Use of Marketing Research: The management of TBL should regularly administer marketing research activities in order to keep it at satisfactory levels. Regular research should also be conducted to find out customer expectations about various service aspects. As customer expectations and satisfaction are not static figures regular research at sufficient intervals should be conducted. Employee Trainings: Employee trainings and workshops should be administered in order to give them knowledge and professionalism of customer interactions. With more professional base employees can better satisfy the customers. They should be taught about how to deal with problem customers and how to deal problematic situations. Employees- specifically sales officers should be conscious and taught about the financial aspects of the loans so that it becomes convenient for the approval officers to access loans. Modern Software: The Bank should adopt a modern banking software which is used in the modern contemporary banks and which is able to represent statements required by Bangladesh Bank & Head Office of TBL. Though it will take a huge cost, the management should go for it for the betterment in future and for uninterrupted & quick service . Direct social involvement: To enhance the image of the bank and to assume social responsibility, the bank should engage itself to various social programs like Scholarship to poor but meritorious students, Empowerment of the children in abject poverty, Compaign against dowry and other social evil etc. The Trust Bank Limited is a very recent bank in the banking business area. It starts it operation from November 29, 1999. So within this short time the bank already get the popularity in the people. When this bank starts its operation, their first target customer was the army person, but with the demand of general people the bank is also doing business with the general people. Success in the banking business largely depends on products offered by the bank. The more products with various attractive features and efficient services of the bank the more will be the profit and there lies the success of the bank. Trust Bank Ltd. is one of the most potential banks in the banking sector. It offers various products including deposit products to meet various demands of the people. The Bank has a large portfolio with huge assets to meet up its liabilities and the management of this bank is equipped with the expert bankers and managers in all level of management. So it is not an easy job to find out the drawbacks of this bank. The service provided by the young energetic officials of the Trust Bank Limited is very satisfactory. As a commercial bank TBL has to follow the rules of Bangladesh bank despite the fact that these rules sometime restrict the foreign business to some extent. During my internship in TBL, Mirpur branch I have found its deposit department to be very efficient; therefore this department plays a major role in the overall profitability of the branch and to the Bank as a whole.